We all love social media and the internet, but could you use freely available online tools not only to retrain for a new career, but to build and conduct your business from anywhere you like? That’s what Alison Kilkenny in Benissa did. “We moved to Spain in 2003. When I lived in the UK, I worked as an Office Manager in Local Government; firstly in the education dept, then the economic development and then social services”. Alison loved the lifestyle in Spain but found sourcing fulfilling work a challenge – like all successful expat entrepreneurs she tried a range of different things from cleaning to online sales – but eventually decided to retrain, and combine her academic background in social and behavioural studies with her passion for words, to help people who needed to develop their own skills. She studied TEFL (Teaching English as a Foreign Language) online, and qualified in June 2013. “I work part-time for a company based in Moscow. They provide me with Russian students who want to learn to speak (or improve) their English. This company is years ahead of many online schools in my opinion. They provide everything needed to the students and the teachers via a ‘back office’ on their website. As a teacher, I can download course books, audio CDs & videos, and the students can access the same. I can also complete my schedule to show which students have been taught – and I’m paid on time every month via Paypal. 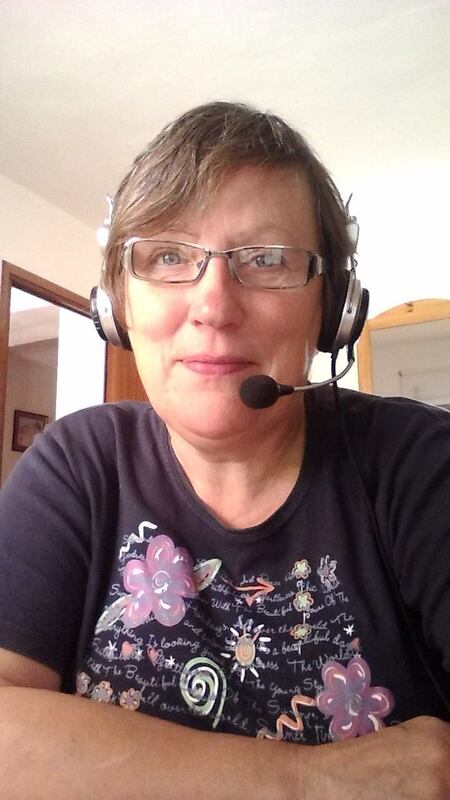 The online services we use to keep in touch with friends and family, Alison relies on as vital tools for work – such as Skype video chat which enable her to work with children as well as adults. “I only have wimax where I live and it’s fine for teaching online. I don’t have any problems really. Sometimes downloading is slow, but I usually go off and have a cup of tea. Sometimes the video on Skype can be a problem, but more often than not it’s a problem in Moscow or Siberia. It amazes me that the video can be so clear during a lesson with a student in Moscow that I can see the freckles on his or her face, and yet an hour later I can have a lesson with a student in Madrid and we can barely see each other! “Social media is an essential part of my job and I’d be lost without it. I use Facebook a lot to network and find myself chatting a lot with other teachers. I’m always sharing British Council stuff on my page and sharing it with the Teachers Support Group. It works because if I see a really useful article which I don’t have the time to read straight away, I can share it to my own profile and read it later. It’s like having my own library of training resources! And if you are using online tools for business or pleasure in creative and innovative ways, we’d love to interview you for our ‘Social media in action’ series – get in touch via info@costaconnected.com and tell me what you do and how.